I don’t agree with the conclusion that we only need meat and fish to healthy, by the way. Perhaps that’s true if you’re eating wild-caught fish and caribou who feasted on nutrient-dense wild plants, but unless you live off the land in Alaska, that’s not your meat-and-fish diet. Perhaps that statement could use some explanation. Our favorite poster-boys for a meat-and-fish diet are the Inuit. In fact, back in 2010, I wrote a review of an excellent book titled Kabloona: Among the Inuit, written by a French adventurer who traveled and lived with Eskimos (as he called them) in the 1930s. In one chapter of the book, he describes how he brought some white-man’s treats (bread and cheese) to a friend who was a priest. The priest, as it turned out, no longer liked those foods. As the author wrote, the priest had lived on nothing but fish, seal and caribou for six years and was none the worse for it. Okay, so people can live well on meat and fish. But there’s a little more to it than that. 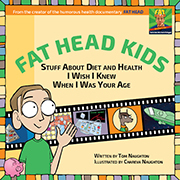 Back when I researching Fat Head, I came across a Discover Magazine article titled The Inuit Paradox – the “paradox,” of course, being that they were healthy despite living on fatty meat and not having any hearthealthywholegrains! in their diets. Patricia Cochran, an Inupiat from Northwestern Alaska, is talking about the native foods of her childhood: “We pretty much had a subsistence way of life. Our food supply was right outside our front door. We did our hunting and foraging on the Seward Peninsula and along the Bering Sea. Seal, walrus, geese, moose, caribou, reindeer, crab, fermented “stinkfish” and fermented seal flipper … does that sound anything like the all-meat-and-dish diet the typical zero-carber living in America would consume? I’d urge people to read that paragraph several times before concluding Well, the Inuit didn’t eat plants, so I’ll be fine living on steaks, chicken, cream, bacon, eggs and a bit of broccoli now and then. In the short subarctic summers, the family searched for roots and greens and, best of all from a child’s point of view, wild blueberries, crowberries, or salmonberries, which her aunts would mix with whipped fat to make a special treat called akutuq—in colloquial English, Eskimo ice cream. One might, for instance, imagine gross vitamin deficiencies arising from a diet with scarcely any fruits and vegetables. What furnishes vitamin A, vital for eyes and bones? We derive much of ours from colorful plant foods, constructing it from pigmented plant precursors called carotenoids (as in carrots). But vitamin A, which is oil soluble, is also plentiful in the oils of cold-water fishes and sea mammals, as well as in the animals’ livers, where fat is processed. In fact, all it takes to ward off scurvy is a daily dose of 10 milligrams, says Karen Fediuk, a consulting dietitian and former graduate student of Harriet Kuhnlein’s who did her master’s thesis on vitamin C. Native foods easily supply those 10 milligrams of scurvy prevention, especially when organ meats—preferably raw—are on the menu. For a study published with Kuhnlein in 2002, Fediuk compared the vitamin C content of 100-gram (3.55-ounce) samples of foods eaten by Inuit women living in the Canadian Arctic: Raw caribou liver supplied almost 24 milligrams, seal brain close to 15 milligrams, and raw kelp more than 28 milligrams. Still higher levels were found in whale skin and muktuk. Raw caribou liver, seal brains, kelp and whale skin. Again, not foods found in your local grocery store – not even at Whole Foods. The Inuit hunted and fished for animals we don’t eat, and they ate them nose-to-tail – again, often raw. That’s why they didn’t need plants foods. They ate the animals that ate a variety of wild plants – and often they ate the digested plant matter found inside the animals, as the article explains. Yummy. I’d probably sprinkle some garlic salt on that side dish before digging in. We’re critical of vegans for shunning meat, which provides necessary nutrients, then refusing to blame the meatless diet when their health tanks. So let’s be consistent here. If you’re not actually eating like an Inuit, an almost-plant-free diet is likely to leave you short on necessary nutrients. A small salad with dinner probably isn’t going to cut it. In most areas of the world, paleo humans consumed dozens (and sometimes hundreds) of local plants, including nuts, leaves, stems, roots and tubers. But if you’d rather eat raw caribou liver and fermented stinkfish, I’ll be the first to applaud your dedication. I have a cook book called the Northern Cookbook and I believe that there were only a few animal parts that the Inuit did not eat, and I think it was the liver of polar bear and arctic seal, because the high concentration of vitamin A is toxic. I cannot imagine a worse fate than to live in country with an abundance of tasty fruits and vegetables (when in season) and not be able to eat any of them because of people telling me that it is not natural. I am working towards a paleo/keto 100 mile diet, but if I cannot have fresh berries when they are in season, then I do not want a low carb woe regardless of how healthy it is for me! I’ve been hearing from people on Facebook who insist Paleo Man didn’t eat any plants. That makes no sense to me at all. If tasty plants were available, why the heck wouldn’t people eat them? Yup, someone posted that earlier. I noticed he includes organ meats in his diet. I think that it is so obvious. Berries and whatever else would have been available in autumn. So, given that people are entering winter they would eat what was around (hence our pancreas and it’s ability to lay down fat) in the form of the winter solstice festival. Christmas as we know it has nothing to do with christianity. It was the mid winter festival to eat your best food in anticipation of hard times to come and lay down some fat. Sorry to disappoint all this christian folks but christmas was a a pagan festival usurp by christianity to spread the word. Coca Cola and santa in dressed in red comes to mind. Heck, even in a Catholic school, we were taught that Christians co-opted the pagan holidays to help spread Christianity throughout Europe. Who the heck wants to give up that 12-day party at the end of the year? I truly believe if we stuck to real foods and only what naturally grew in our region, 100 miles like you said, we would be completely healthy. Eating in season naturally occurring fruits and veggies, no matter the carb content would be completely healthy so long as we are not already completely metabolically damaged like those who are extremely insulin resistant or already diabetic. This would be exactly how our ancestors ate. It’s how our grandparents ate. Some people adopt a very low carb WOE in response to insulin resistance that probably came from eating a level of sugar that fruit eaters could never manage. If you have a normal metabolism, I imagine a few fresh berries in season are healthy for you. If you eat lots of giant modern fruit year round, and juice them so you can eat 10 times as many without getting full, that’s a different matter. Absolutely. I think we should start with a more-or-less paleo template, but adjust for whatever issues we have. I’ve known for a while I should be eating more offal. We raise rabbits & love the liver, but not the rest of the innards. Talking about that with a friend, she suggest I slow cook them with onions. Now THAT sounds good! So next butchering session I’m going to try it. If it’s as good as it sounds, the chickens aren’t going to get their usual treats. A while back another person suggested I eat more vegetables – I wasn’t eating much other than a salad. Since then I’ve added several servings of other low carb vegetables and I really think I’m doing better. Let us know if the offal with onions is good or awful. When I lived in Fairbanks a woman made me Eskimo ice cream and it was so good! I’m not inclined to disagree; hunter gatherers generally don’t consider the muscle meat to be the most valuable part of the kill, and a vet once pointed out to me that dogs & cats need to eat more parts of the animal than muscle meat to survive as hunters. On the other hand, the McClellan and DuBois paper describe two men living on a diet of meat that isn’t exactly nose to tail though it does include organ meats: muscle, liver, kidney, brain, bone marrow, bacon, and fat. I think you’d pretty much have to include organ meats if you’re not eating any plants. And fermented food, like the Inuits fermented fish. And you need special genes to handle the large amount of polyunsaturated oils from the traditional diet. Don’t remember where I read it, but I do seem to recall that the Inuit had a couple of genes that enabled their diet to work for them. Here with a reference to the research. One has to assume that populations that have been on a diet for a long time are adapted to said diet. For example, societies that are newly ( a few hundred years) introduced to White Mans “foods” are devastated and do worse than people who have been exposed for a long time and have some protection against western food. It was not so long ago that families expected to lose children in early childhood, probably because in many cases from inability to thrive on the diet. Thanks for digging up the link. Quite interesting, since they’re kind of the poster-boys for ketogenic diets. Which seems to be a misperception, and a common one. As far as I know, there are zero surviving of historical cultures that are/were chronic keto. The ability to switch between glycemic and ketotic metabolisms is an adaptation that most human genotypes seem to have, but optimal health might be found in not being on either side of the metabolic fence full time. Chronic keto, where actually necessary, requires attention to some issues most KD advocates don’t attend to (not my topic today). Emulating the Inuit diet when one is not genetically an Inuit, might be an error. What’s more clear, however, is that the Inuit definitely need to eschew the food-like substances being flown up from the south. Isolated and historical cultures have a lot to teach us, if we look. That includes the failed cultures. We were lately watching a show about a dig at a Basketmaker III site, thought to represent a transitional period in Pueblo People; from hunter-gatherer to settled agricultural. The speakers on the show exhibited no signs of concern with this shift. They seemed impressed with the evidence for corn and bean cultivation (as that makes a complete protein). They didn’t seem aware of novel excesses or deficiencies that might arise (some of which plague standard diet eaters today, including the show cast, most of whom were overweight). The speakers also wondered why the people vanished, did not blame ag per se, and were content with a Global Hot Air™ theory on that. To be sure, when you bet on ag, you bet on the regional climate, which is not necessarily your friend, esp. in the American southwest. But it could have been due to raiding by other groups who remained H-G, and possibly discovered that farmers were both easy prey and tasty. Agreed. By poster-boys for a ketogenic diet, I was referring to how they’re perceived. Since Inuit adult males consumed more than 200 grams of protein per day according to people who studied their diets, I don’t believe they could have been full-time ketogenic. Perhaps there are adaptations, but aren’t there are accounts of explorers living among the Inuit doing fine once they learned to do what the Inuit did. Very much agree. We in our Neolithic environments, with a WFs every 10 miles, are nowhere near Inuits in their centuries old culturally intact eating methods. Variety and variability is key for placing epigenetic pressures upon us making humans more fit. We thrive upon environmental pressures and require massive varieties of foods. I would call or age certainly post neolithic which would be New Stone Age. “lithic” meaning “stone”. We had the bronze age and the iron age, and the steel or industrial age. A diet with high sugar and industrial seed oils is a very recent event. I have actually made bread from fresh ground whole wheat, and it is nothing like what the stores sell as whole wheat bread. Excellent and to the point, Tom. People love to fool themselves about nutrition and diet, just as with so many other areas of life. Confirmation bias and other fallacies abound. Yes, I’m seeing that on Facebook. We seem to have a fair number of vegans-in-reverse out there who insist that Paleo Man ate no plants at all and we shouldn’t either. Walrus? Seal flippers? Somewhere, an ecologist/environmentalist leftover hippie from the summer of love has keeled over in his or her kale salad. I dunno. They tend to back off when native people are involved. But just as not all meats are created equal, neither are all vegetables. Occasionally, particularly here in the South, a restaurant will offer mac-&-cheese as one of their vegetables du jour. Ugh. Sounds like ketchup as a vegetable. To qualify as a vegetable the mac and cheese has to be served with ketchup. Well, then it would be good for you. I use to hate that as a kid — eating something like meatloaf with ketchup on it and the ketchup would end up in my mac and cheese. Ugh. I actually liked ketchup on mac and cheese as a kind. Wheat, cheese, tomato … reminded me a bit of pizza. Of course, my mac and cheese days are long over. Same here, though I do fondly remember the “pizza sandwich” my mother made on Friday nights — slice of white bread, jarred spaghetti sauce and a slice of government cheese. Ahh, if only that stuff were health food. The favorite sandwich of Pizza the Hut. Er, Masai, anyone? I can’t offhand find my source, but I am sure I was recently reading something about how the Masai ate only meat, milk and blood and as a result dominated all the nearby tribes – such as the Kikuyu, who ate a good deal of grain. Now it turns out that the Masai ate a lot of other things too. They traded (and probably still do) their cattle for a variety of vegetables, bananas and honey. Apparently, as of 1900, only young men who were the tribe’s warrior caste stuck to the diet of meat, milk and blood; children and older men did not, and women never observed it. But I have no found any mention of the Masai eating grain; the sweet things they ate would have been in short supply (bananas from far away, and honey from African bees – never particularly friendly at the best of times). I came across Stefansson and Andersen’s “meat only” experiment(s) while rereading “Good Calories, Bad Calories”. A year, at least, with nothing but meat – although they ate a wide variety of different meats. And no vitamin or mineral deficiency at the end of it! What intrigues me is the possibility that a great deal of modern nutrition science and medicine might consist of nothing more than palliative measures to minimize the harm caused by eating lots of refined carbs such as sugar and flour. Consider the results that Barry Groves cites, showing that leucocyte activity is reduced by up to 90% by eating quite usual portions of sugary foods. (Of course it was on Barry’s site that I saw mention of the Masai and Kikuyu). Consider that Andersen and Stefansson ate nothing but meats for a whole year (at least). “No clinical evidence of vitamin or calcium deficiency was noted, despite the diet being both acidic and low in calcium. In addition, the mild gingivitis Stefansson had suffered from, cleared up entirely during the meat diet”. It begins to sound as though many of the elaborate vitamin and mineral requirements nutritionist talk about may not exist on a pure meat diet. (Stefansson included fish in his use of the word “meat”). What if vitamin C is mainly needed to reduce the harm caused by eating refined carbs? Of course, whether anyone likes a pure meat-and-fish diet is an entirely different question. Never having tried it, I’m not sure I would dislike it. D’oh! Turns out I have had two of Barry Groves’ books sitting on my shelf since 2009 – and never yet opened them! It appears The Bear also ate organ meats. Yes, although I was mildly surprised to see he warned against eating too much liver – partly for the well-known risk of too much vitamin A, but mainly because of too much glucose! Actually, that’s another reason I don’t buy the “nobody ever needs to eat any foods containing glucose!” argument. Paleo people ate livers, which provide glucose in the form of stored glycogen. For a brief period Stefansson fell ill on the meat only diet — when he was encouraged to eat only lean meat without the fat. He was “quickly cured by a meal of fat sirloin steaks and brains fried in bacon fat.” This is from Nina Teicholz’s ‘The Big Fat Surprise’ (page 10 of my version). An outstanding book. The author points out that he meat only diet was a misnomer. It was three parts fat to one part lean meat. In short, the diet was mostly fat. Sounds like he was eating organs as well. I haven’t heard of any clinical experiments of people living long term on a vegan diet. Aside from the possibility of “cheating” the possibility of inadvertent animal food consumption should be kept in mind. In the long run the Elephant wins. Very interesting and very sensible. Please pass the cabbage and carrots, the sweet potato and the asparagus. All of which are frequent visitors to my dinner plate. Lots of people swing from one extreme to the other, looking for a simple and absolute truth. I think a lot of the “all-meat” people are doing this. A lot of them probably hurt themselves from eating way too many plants, too much fiber, and not enough fat and protein, and so show marked improvement when they switch to an all-meat diet. Avoiding fiber as much as possible for a while after damaging the digestive system with too much of it does help healing. But that doesn’t mean that it’s optimal to stay on that diet forever. Kind of reminds me of one the many excellent points in Eric Hoffer’s classic book “The True Believer.” Extremists, he explained, are more likely to jump from one extreme set of beliefs to another because they are attracted to extremism. When hard reality finally pries them loose from one all-or-nothing philosophy, they go looking for another one. It’s interesting that many of the paleo people are ex vegans who came to feel misled. I appreciated these honest comments by a vegan. I realize that some activists believe that using any means necessary to get people to stop eating meat represents a win for animals. But putting aside the philosophical issue of whether the ends justify the means–that is, whether it’s okay to be dishonest if it saves animals–I think there are a number of problems with this argument.
. . . the vegan movement’s credibility is undermined when we make claims that are so easily refuted. If we get caught lying or exaggerating about the health aspects of veganism, why should anyone believe us when we try to tell them about the treatment of animals on farms, in zoos, and in research labs? She makes an excellent point. Too many vegans — Dr. Neal Bernard comes to mind — seem to think dishonesty is justified if it scares people away from eating the evil meat. I’ve been trying to remember the name of that book! It seems particularly apt these days, unfortunately. Unfortunately, I think it’s always apt. It would be very good for people who are starving. If not enough food energy once the fat reserves are finished, nothing else matters. The kid with the swollen bellies we see in pictures may be getting enough protein, but it has to be burned for energy, because the fires must be kept burning. The kids in those pictures have swollen bellies because of a severe deficiency of protein in their diet! All very well and good; but I do think we should be careful not to confuse two separate questions. 1. What is good for me? What is best for me? 2. What do I like? As Stefansson and Bear point out, what we like in the way of food and drink is not necessarily a safe guide to what is healthy. Bear compares it to learning a language: what you picked up in your first five years tends to stay with you for life. When I was a boy I acquired a powerful liking for sweet milk chocolate, caramels, and barley sugar. All of which ruined my teeth and no doubt came close to destroying my health. Yet I loved those damned things, and it took a powerful effort of will AND the awareness of the consequences if I didn’t change before I could stop eating them. I still can’t “have just one” – the only option is Zero Tolerance. Tom, isn’t that three questions? Coffee is a plant. ‘Nuff said. While the information in the link refers to the lack of protein in the diet as Protein Calorie Malnutrition, it is also known as Kwashiorkor. I haven’t read it, but Chareva has. Practically mandatory reading and it’s free, always an important point. Observational as it is, the work can no longer be repeated because there aren’t populations living on traditional diets anymore. How about an update on your post-surgery progress? Can you type yet or are you still dependent on voice-to-text? Is your arm still strapped to your side? Surely I’m not the only one who is curious – or nosy, depending on your point of view. I can type now. I’m supposed to remove the arm from the sling for a bit each day and kind of wiggle it around to avoid cramping, but I’m not supposed to lift anything with my left arm just yet. Next follow-up with the doc is Thursday. I’ll try to remember to put something about it in a post. Here is a good tutorial for anyone interested in fermenting their foods. Or not. Also, today’s fruit and vegetables bare no resemblance to those fruits and vegetables from the paleolithic era. I suspect it could be dangerous not knowing what plants were OK to eat. Obviously, hunter-gatherers figured it out. Glad to hear you are beginning to heal, Tom – here is wishing you a great holiday season in which, I would lay odds, the best gift will be to regain full function of your arm again. 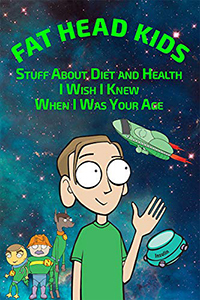 Dr. Ede also has some interesting discussions about food – vegetables, fruits, and meat. She admits that for her, eating less vegetables and more meat makes a huge difference psychologically. http://www.diagnosisdiet.com/all-meat-diets/ interesting commentary on the history of all-meat diets (not inc. today’s zero-carb dieters). Amber O’Hearn is also a meat-only eater. Again, in her case, she is healthier now than when she ate products other than just meat; she even comments on it in her blog at both empiri.ca and at ketotic.org . This article is very interesting, as it discusses the need for Vitamin C: http://www.empiri.ca/2017/02/c-is-for-carnivore.html and really, I thought, brought up some interesting points of discussion as well. All interesting articles, although I disagree with some of the details. The Sioux ate a lot of buffalo meat, but they also ate some plants foods. And as the article I quoted in my post mentioned, so did the Inuit when plants were in season. The arm and shoulder are better, but I won’t be back to full function for months. The physical therapist told me that with a torn bicep, it’s usually about a year from the surgery before the muscle is back at full strength. So I guess what I want for my 60th birthday is to be a strong as on my 58th birthday. Just an idea, anything to help with getting you fully healed and functional more quickly again. There is a lot of misinformation on the Inuit diet out there, Tom. Although it varied according to the availability of foods in the area, it was higher in plants and carbohydrates than it is often portrayed. The leaves and often flowers were eaten in season. Also carbohydrate rich roots of a range of plants were harvested. When berries were abundant, families would often drop almost all other activities to harvest the berry crops. The abundance and variety of berries was far greater than commonly appreciated. Some berries were partly dried and stored in seal oil for use in the winter. The meat of marine mammals is far higher in carbohydrate(glycogen)than the flesh of terrestrial animals which probably relates to adaptations for diving. Moreover, much of the glycogen is retained in the meat especially when it is chilled and frozen quickly. Contrary the views of Taubes and Cordian the traditional Inuit diet was not ketogenic. Carbohydrate intakes of 15-20% were typical and sometimes much higher in place such as Greenland where marine mammals made up more of the diet most of the year. Even at the lower end this provides enough glucose to prevent ketogenesis along with all its negative side effects. The mere fact that adult Inuit males consumed an average of 240 grams of protein per day tells me they weren’t constantly in ketosis.